The 2018 Toyota Avalon is one of the most dynamic and exciting four door sedans on the market today. Starting at a base MSRP of $39,900, this year’s Avalon features two distinct and unique model types to choose from – the Avalon Touring 6A and Avalon LTD 6A. Featuring a luxurious styling that strikes an air of elegance, the Avalon is designed with a thorough ergonomic approach that will have you convinced the car was built specifically for you. Come to Sherwood Park Toyota today to see the 2017 Toyota Avalon. We are located at 31 Automall Rd, Sherwood Park, Alberta or call (780) 410-2455 to schedule a test drive. The 2018 Avalon features the powerful 3.5-liter V6 Toyota engine that puts 268 horsepower and 248 pound-feet of torque at the tips of your finger. Dual Variable Valve Timing with intelligence (VVT-i) and Direct Ignition System (DIS) deliver a perfectly tuned performance all the way from low to high engine rotation. 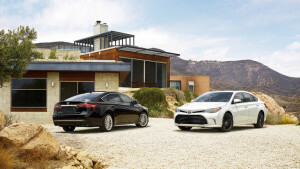 The gearbox choice is a six-speed, paddle-shift transmission with choices for both Eco and Sport driving styles, allowing you to customize your Avalon’s performance based on your needs at any time. A Front-Wheel-Drive drivetrain paired up with Vehicle Stability Control and Traction Control (TRAC) puts you in command of the Avalon at all times. Furthering drive comfort, its highly tuned suspension adds to the agility of the vehicle and the rigid frame makes the ride smooth for everyone inside. You can always be at ease when driving the new 2018 Avalon. Our staple Toyota Safety Sense SystemTM P offers intelligent features that help prevent collision with the use of sensors and cameras. Automatic High Beams monitor oncoming traffic and switch the higher intensity lights on and off as necessary so the driver can focus on the road. 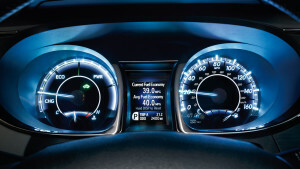 The system also features highly adaptive amenities such as Lane Departure Warning and Steering Assist, which monitors your surrounding lane markers and alerts the driver should they ever drift. If the drive does not react then the vehicle adjusts the steering automatically. Toyota has also included the STAR Safety System, which combines a suite of safety technologies such as Anti-Lock Braking, Brake Assist and Electronic Stability Control to help to maintain control and stability. 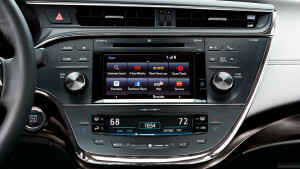 The 2018 Avalon comes standard with a 6.5-inch touch screen display at the center of its dashboard to easily control many facets of the vehicles technology systems. This monitor automatically reveals the standard Rear View Camera when shifting into reverse, allowing the driver to reverse confidently every time. The display is also the main control for all your audio options, featuring control of all your favorite Bluetooth-Compatible devices for media streaming. Throughout the cabin there are 11 speakers that immerse the occupants in the sound of your favorite songs or anything else you like to listen to. In case of rain or snow, the Avalon LTD 6A model offers automatic wipers that sense dampness on the front windshield, which automatically jump into action at a suitable speed conveniently when needed. With a refreshed design for 2018 the Avalon has a dynamic front end with a lowered and large grille and fascia. The sculpted profile of the car adds to aerodynamics, which increases fuel efficiency and lowers drag, allowing for smooth riding and enhanced control. 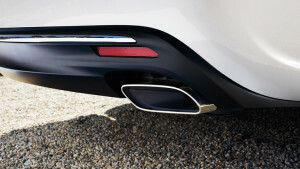 The dual rear exhaust pipes show off its bold yet sporty character while the headlamp design incorporates double-eye Projector Ellipsoid System (PES) low beam lamps. On the interior occupants are provided a remarkable amount of cabin space and the available soft white ambient lighting keep the mood light. The soft touch materials on the dash and doors hint at luxury, while the heated eight way power driver seat and three spoke steering wheel keep the driver comfortable. For a little extra the available moonroof illuminates the cabin with natural light and gives a beautiful view of the sky above. The 2018 Toyota Avalon is a vehicle out for your heart. Stunning to the eye, agile and dynamic on the road and luxurious on the interior, you need to experience it yourself to really understand. Come to Sherwood Park Toyota today to see the 2018 Toyota Avalon. We are located at 31 Automall Rd, Sherwood Park, Alberta or call (780) 410-2455 to set up an appointment or test drive.